Ohh April! My very favorite time of the year is when the cherry blossoms are out in full bloom, and the great long stretch of summer is out before us in glorious, warm possibility. I spent some time this week painting the cherry blossoms and happily reveling in their heavenly beauty… I was in the park almost every day! Check out my time lapse of the painting done and a few of my other pieces. Send me a message at jlibor@jessicalibor.com if you are interested in collecting any of these oil sketches. White top and pink skirt: Forever 21. Lavender dress: true vintage. Blue dress: Urban Outfitters. Floral dress: true vintage. Striped top: Lucy Paris. Hats: Forever 21. Sunglasses: Green Street Consignment. Which is your favorite look? What about favorite cherry blossom painting? 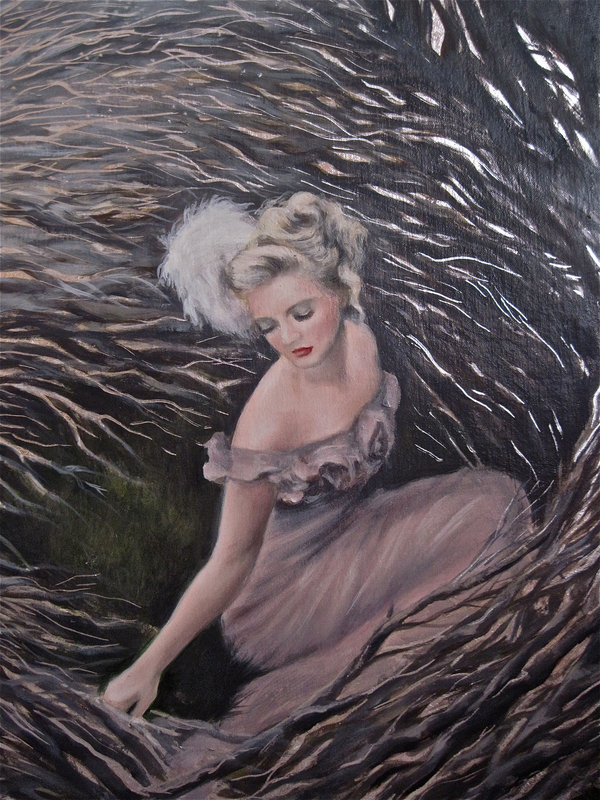 Tableau, oil on panel, 8″x10″, Jessica Libor 2014. Watermark is not on the physical print. 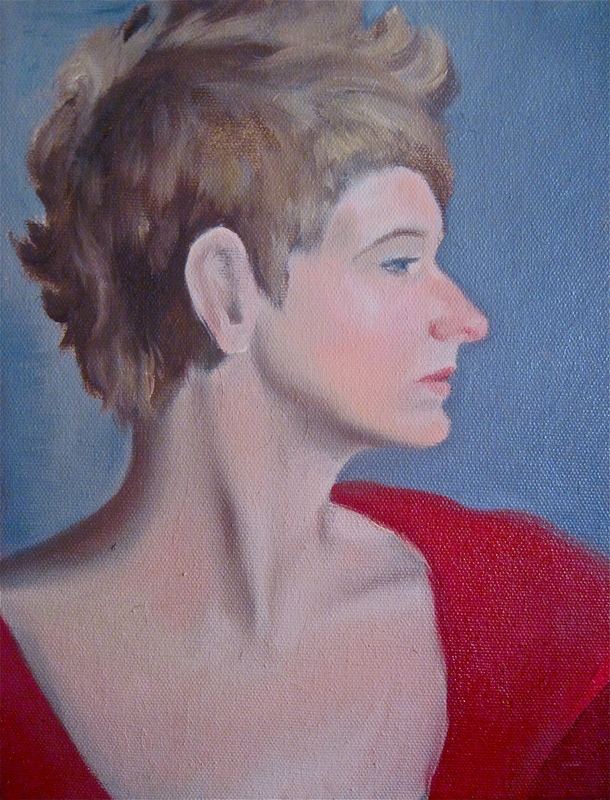 At Ellen Cooper’s portrait class last week, we completed the first portrait. For me, this was two sittings, 3 hours each. The model had the most wonderful, elegant profile, and flawless skin, the overall effect being that of an English noblewoman painted so frequently by John Singer Sargent. Although my painting is no Sargent, I tried to capture the loveliness of her glowing skin and the attitude of her profile. I completed this painting about a month ago, but wanted to wait until I had a good image to share before posting about it. 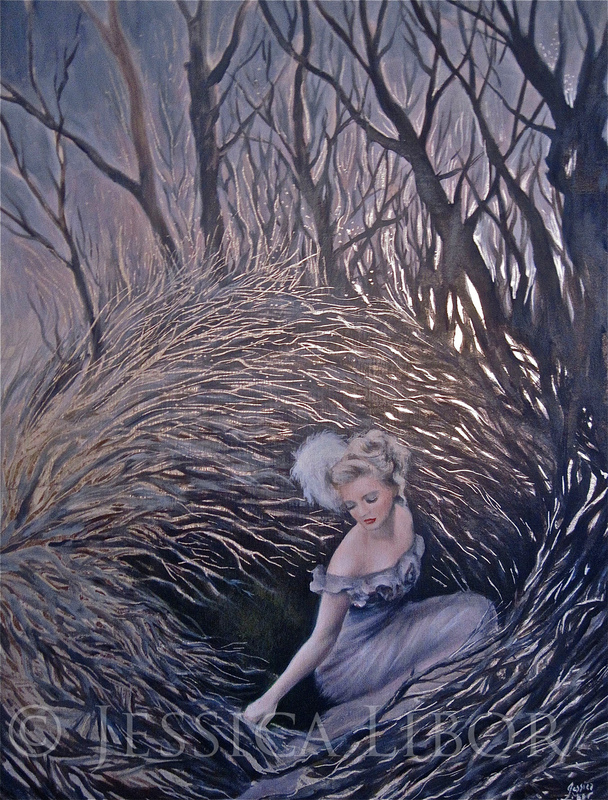 It’s called “Refuge”, and is oil and silver leaf on linen, at 18″X20 inches in dimension. It’s a painting of a friend, like most of my work, and something I really enjoyed working on. If you’re interested in collecting it, see more details on my website www.jessicalibor.com, or if you’re interested in viewing it, email me and we can work something out. Enjoy!